Conviction. Respect. Sacrifice. Generosity. Action. In response to Donald Trump’s election and proposed Muslim ban, as well as the corresponding wave of anti-immigrant sentiment, we were inspired to make a statement in support of immigrant communities in the US. We also felt it was essential to educate the public that the protections afforded by the First Amendment apply to everyone, regardless of citizenship or immigration status. Emergence Creative, in partnership with the American Civil Liberties Union (ACLU), launched a thought-provoking campaign in April 2017 to remind the public of their First Amendment rights and reassure immigrants that they too are protected by the U.S. Constitution. Conceived as a reaction to President Trump’s attempted Muslim ban, the campaign features the First Amendment in Arabic, Spanish, and English. Large-scale installations in iconic locations like Times Square increased visibility and sparked conversation. The First Amendment applies to everyone, and the principles it upholds mean the same thing in every language. Freedom of religion, speech, press, and protest are core American values that Trump and his supporters have repeatedly trampled. To highlight the universality of these rights in a simple, memorable way, we leveraged the power of the original text itself. We started with the question: what makes cities “smart”? The current landscape of “smart cities” events focuses on technology and large corporate solutions. We saw an opportunity to differentiate this event by embracing the human element. Smart Cities NYC 2017 was the first event of its kind, bringing together leading voices from business, government, and the social sector to discuss the challenges and opportunities facing cities in the 21st century. After a successful inaugural conference, Emergence Creative and its partners will host Smart Cities NY 2018 at Pier 36 in Manhattan. Our landscape analysis and strategic conversations led to the insight that people make cities smart. Using this insight as a guiding principle, we developed a launch video, logo, visual identity, and print/digital collateral to build interest and engage diverse audiences. We selected the Brooklyn Navy Yard as the location to break the mold of traditional conferences by re-imagining the event as a World’s Fair for the 21st century. In its inaugural year, Smart Cities NYC generated extensive interest from sponsors and partners. With speakers and attendees from more than 300 cities in more than 30 countries, Smart Cities NYC was a truly global event. The conference also maintained strong local ties by cultivating high level support from the NYC Mayor’s Office, the Brooklyn Navy Yard, and influential media institutions like Vice. A full list of sponsors from the private sector, government, technology, and academia appears on the next slide. The concept behind “Time Done,” which was conceived by Emergence Creative and features the song “The Tree” by Sons of Bill, is the familiar image of “hash marks” on a cell wall, counting the number of days until release. Here, those marks will follow the released individual back into his “normal” life, serving as a metaphor for the enduring barriers he faces as he tries to adjust. The viewer follows the protagonist from his release and reunion with his family to various attempts to reestablish his life: volunteering as a coach for his daughter, applying for a job, and trying to register to vote. The dejection and frustration he and his family experience as a result of these barriers demonstrates the difficulty of truly moving on and finding redemption. The spot closes with facts related to incarceration in Florida—where the campaign will launch—and a powerful question: When will our sentence end? ASJ approached us because they wanted to highlight the many barriers and restrictions that people living with felony convictions face upon release from prison, of which most Americans are unaware. The number of people convicted of a crime classified as a felony offense has skyrocketed over the past four decades: There are more than 20 million people (1 in 12 adults) in the U.S. with a current or prior felony conviction, about four times more than in 1980. These individuals face hundreds of restrictions on employment, professional licensing, voting, housing, benefits, and more. Too often, these barriers prevent them from earning a decent living, supporting their families, and becoming productive members of the community. Rather than relying solely on facts and statistics, we sought to tell a human story that would inspire empathy from the audience. 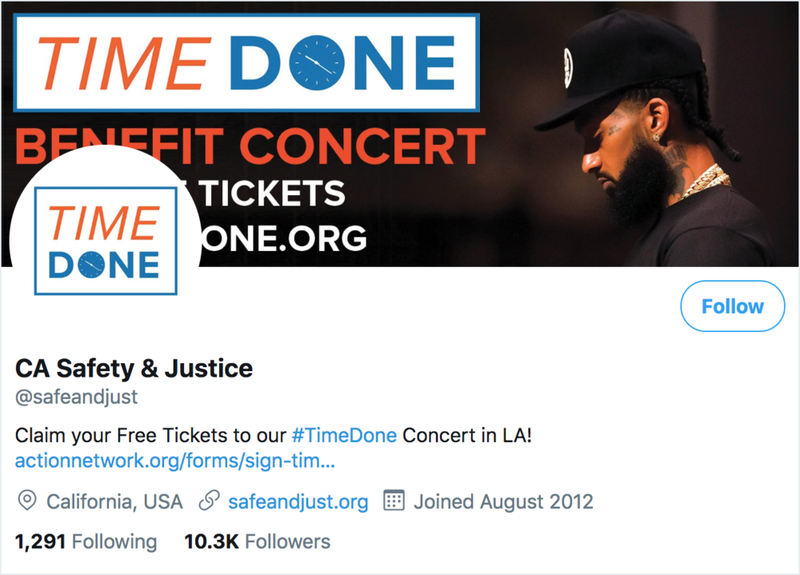 “Time Done” is just the most recent example of Emergence Creative’s unique approach to social impact advertising. GDI needed to differentiate themselves in a crowded space of consulting firms and NGOs, tackling the siloed nature of international development and social impact. Emergence engaged with a broad set of GDI partners and stakeholders to understand the core value proposition, landscape, and strategic insights. This process landed on the idea that GDI builds organizations with a long-term approach, bringing the talent, ideas, and resources needed to help organizations launch and grow. GDI was born to build. We search out revolutionary ideas, cut across siloes, select promising organizations, and create partnerships that spark new opportunities in international development, global health, agriculture, and social enterprise. We developed the concept of “growth engineering” to crystallize the complex nature of GDI’s work. We built a full logo, visual identity, website, and collaterals expressing the new brand. GDI’s website and brand launched with great acclaim in the international development space. Quantgene's cell-free DNA platform allows clinical researchers to detect and profile key diseases with single-molecule precision. We worked with the Quantgene team to bring the concept to life through digital and print materials, press releases, and online. The new brand has helped launch Quantgene nationally. Emergence is working with Quantgene to launch the research platform for clinical oncologists and other physicians over the coming year. 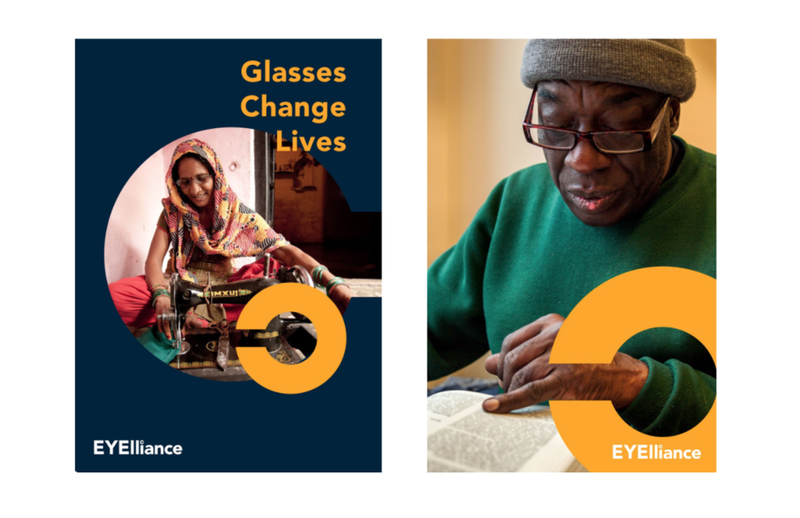 How do you define a new international initiative around lowering barriers to eyeglasses for all? 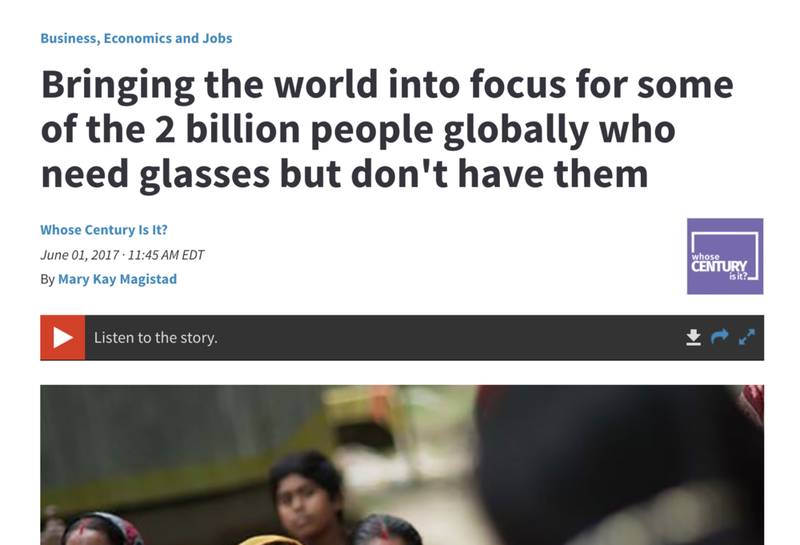 There is a global need for greater access to eyeglasses, and the need is growing. We envision a world where every individual with poor vision has access to properly prescribed, affordable glasses, enabling them to fully realize their potential to learn and earn, as well as enhancing their personal well being. Focus on the simplicity of the solution through the mantra: Glasses Change Lives. Balance the serious nature of the issue with the energy and excitement that a transformative solution like glasses can give. 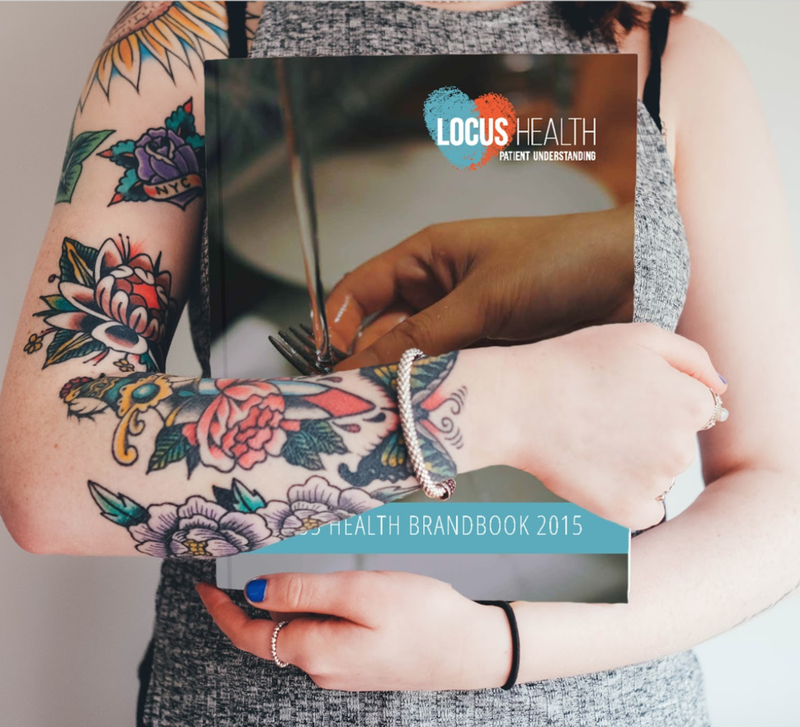 We executed this initiative and built a brand through logo, brand identity, web, and print collaterals. A fresh new brand in the international development space that excites and inspires. Originally launched by UICC, C/Can struck out on its own and needed to brand itself as an independent organization working to improve cancer care in cities around the world. With a passionate and diverse global team, the brand identity and position needed to be bold, adaptable, and differentiated. After a thorough landscape review, interviews and surveys with relevant stakeholders, and a 2-day workshop with the core C/Can team, we uncovered the key insight that above all else, C/Can is a community builder. Their local leaders make things happen from the ground up by bringing people together and inspiring them. So we created a brand that reflected the attitude, passion, and flexibility of the organization. After getting consensus on the core identity, we developed a logo, visual identity, website, messaging document, and communications collaterals for the newly independent organization. As C/Can grows, it will connect and empower people with a blueprint for city solutions, improving cancer care in cities around the world. C/Can launched as an independent organization in January 2019, building on its foundations at UICC and bringing a new approach and voice to cancer care in cities. “Mental health now”, or mhNoW, is a global, collective action including private, public, social and philanthropic organizations to find and accelerate proven solutions that address the unmet need to improve mental health. The Global Development Incubator (GDI) worked with Emergence Creative and the key stakeholders of the mhNOW collective action initiative including Johnson & Johnson, Grand Challenges Canada, BasicNeeds and StrongMinds to create and produce a launch video for the mhNow collective action. To create awareness among investors and donors of the value and impact of self-sustaining social businesses. We guided YSB through landscape and competitive analysis, helping to position the brand in a crowded market. YSB needed a clear strategy that unified their global and local efforts, conveyed a serious business approach, but felt lively and human. We developed a position and tag line that unified the organization and breathed new life into the brand. The strategy and website redesign accentuate YSB’s focus on triggering global social change by activating local entrepreneurs and their social businesses. A bold, new, and memorable identity and visual vocabulary for YSB that speaks to investors, donors, and social entrepreneurs. IPL offers a scientific pathway to realizing your full potential in life and leadership. If you are committed to evolving yourself as a leader and as a human being, IPL can provide you with structured training, tools, inspiration and a peer community to guide every stage of your journey. Executive leadership is a crowded space. We cut through the noise to find the unique value proposition for IPL. IPL used our strategy and new visual identity to rework their website and pitch materials, as well as telling their story in a new and compelling way. Re-position mothers2mothers in a crowded global health space as they grow and funding sources shift. We interviewed and surveyed mothers2mothers team, stakeholders, and supporters. Based on these insights, we helped the organization move towards a more integrated story about mothers and community. Ongoing shift with new positioning to launch soon. We partnered COOK IT RAW with VICE media to create and broadcast short films that tell immersive socially relevant stories of international food systems. The first COOK IT RAW film on VICE has garnered more than 80K YouTube views in 3 months, the second more than 40K in less than 7 days. Empower Generation wanted to create a consumer campaign to increase sales of solar lamps and home power systems through their network of women entrepreneurs in rural Nepal. They needed a bold campaign that would change the way consumers thought about solar power. We developed a full brand strategy and creative campaign connecting the benefits of solar light to family and community prosperity, leveraging the Nepalese festival of Tihar and the Hindu goddess Lakshmi to create a sense that a bright home is a prosperous home. The campaign will be launched in Fall 2015 in print, billboards, radio, and other mediums. Early market testing showed overwhelmingly positive response to the campaign. Re-position Echoing Green in a crowded social impact space as they grow and funding sources shift. We interviewed and surveyed Echoing Green's team, stakeholders, and supporters. Based on these insights, we helped the organization move towards owning their history of leadership development and acceleration. To create a brand and communications strategy to drive use of an innovative a cloud-based data storage and analytics platform designed to improve global humanitarian response efforts. We worked with the United Nations Office for the Coordination of Humanitarian Affairs (UNOCHA) create the HDX brand position and launch strategy. HDX was successfully launched in July 2014 with thousands of users signing up. Next steps include creating a global brand engagement campaign to amplify awareness and use. From the inspiration of a single cellist playing alone in the subways, a global movement is born to liberate Bach's music from concert halls and give it freely to the public once a year. We sharpened the appeal of the Bach in the Subways narrative, orchestrated and filmed a 300-person chorus flash mob in a New York subway station and amplified the Bach in the Subways brand through social media and video content. Bach in the Subways Day 2015 was a huge success: thousands of musicians in 150 cities in 40 countries participated. More Bach was played and heard in a single day than ever before in history.